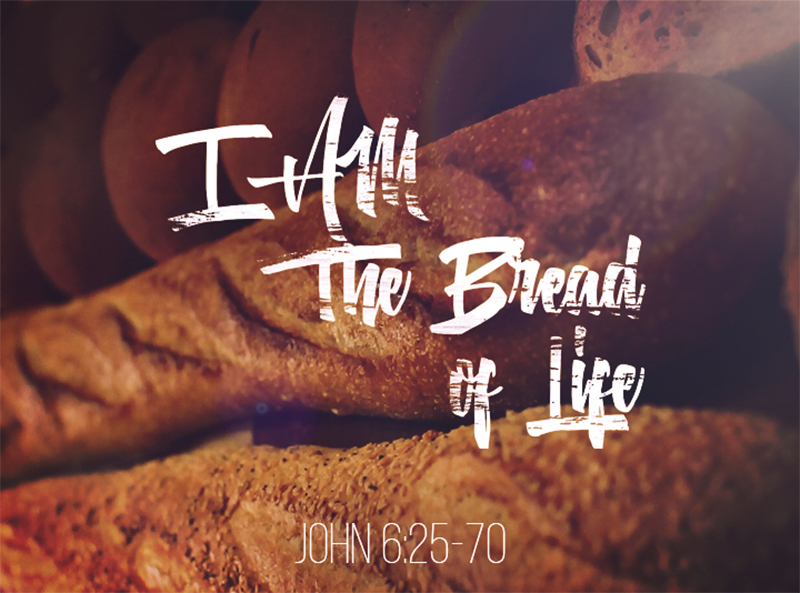 “I am the Bread of Life” (John 6:35) is one of the seven “I Am” statements of Jesus. Jesus used the same phrase “I AM” in seven declarations about Himself. In all seven, He combines I AM with tremendous metaphors which express His saving relationship toward the world. All appear in the book of John. Bread is considered a staple food — i.e., a basic dietary item. A person can survive a long time on only bread and water. Bread is such a basic food item that it becomes synonymous for food in general. We even use the phrase “breaking bread together” to indicate the sharing of a meal with someone. Bread also plays an integral part of the Jewish Passover meal. The Jews were to eat unleavened bread during the Passover feast and then for seven days following as a celebration of the exodus from Egypt. When the Jews were wandering in the desert for 40 years, God rained down “bread from heaven” to sustain the nation (Exodus 16:4). All of this plays into the scene being described in John 6 when Jesus used the term “bread of life.” He was trying to get away from the crowds to no avail. He had crossed the Sea of Galilee, and the crowd followed Him. After some time, Jesus inquires of Philip how they’re going to feed the crowd. Philip’s answer displays his “little faith” when he says they don’t have enough money to give each of them the smallest morsel of food. Finally, Andrew brings to Jesus a boy who had five small loaves of bread and two fish. With that amount, Jesus miraculously fed the throng with lots of food to spare.